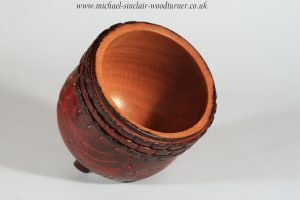 An interesting little bowl turned from oak. 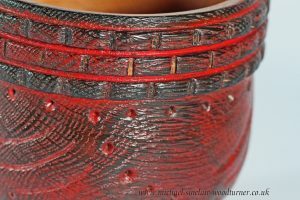 The carved feet are created by a band being left at the base of the bowl when turned and then carved away to leave the little feet. 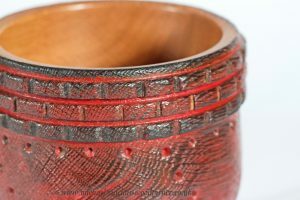 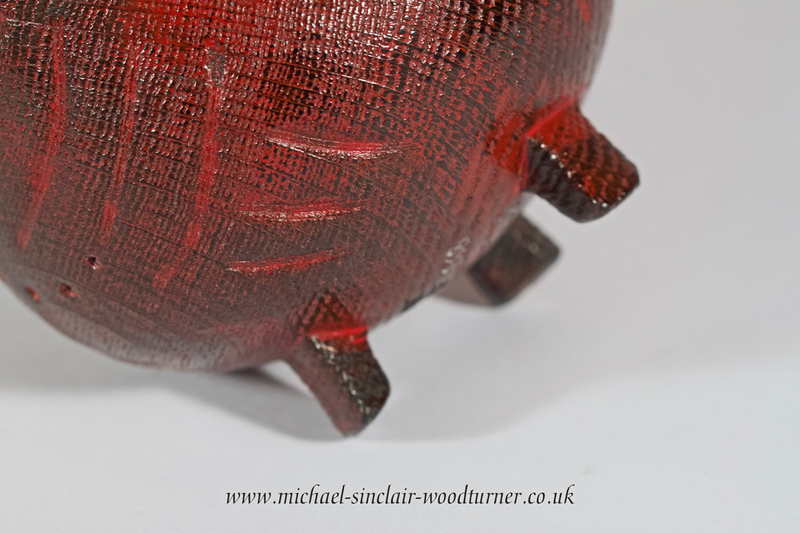 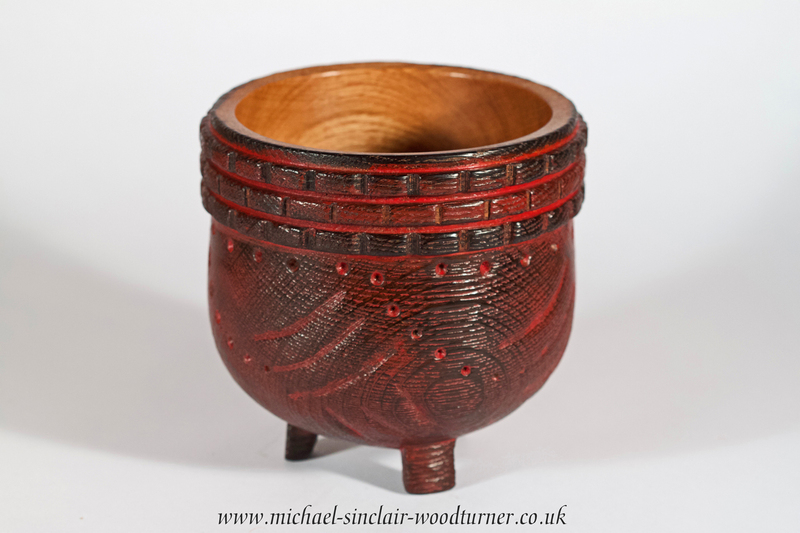 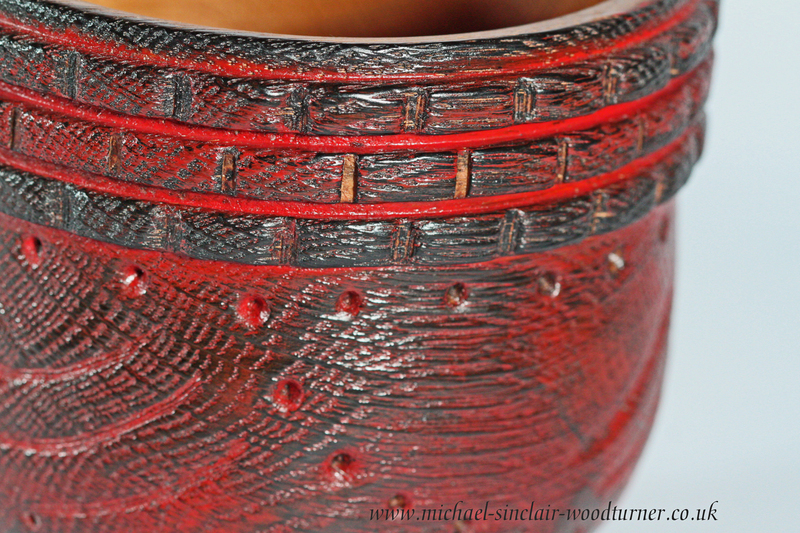 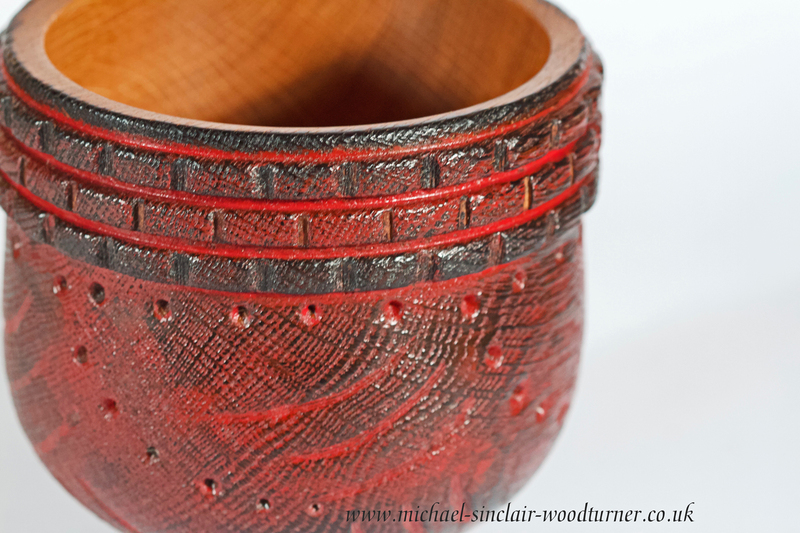 More carved detail has been added to the bowl before it was ebonised on the outside and some red stain applied. 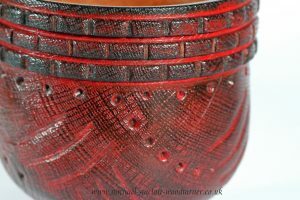 A real focal piece, fun, interesting and very tactile. Finished with several coats of oil and buffed. 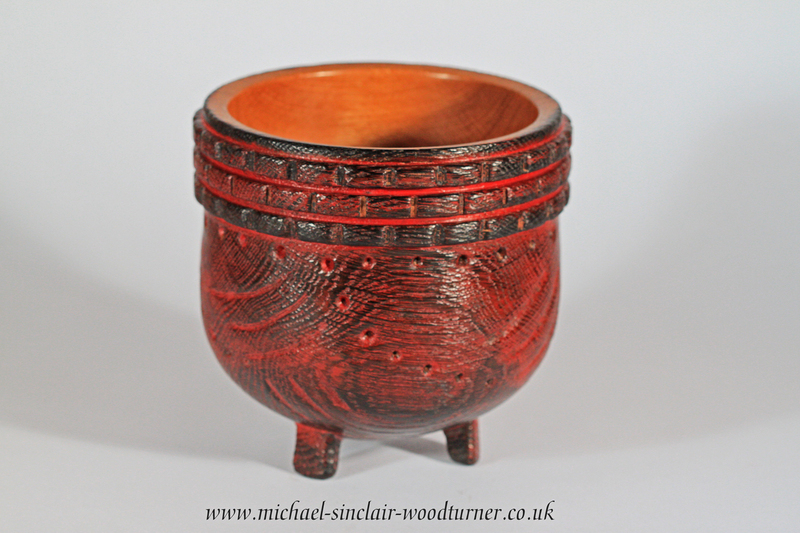 130mm high x 130mm dia. Your purchase will be sent Royal Mail 1st class, insured and tracked. 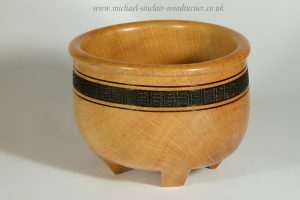 Oak bowl with carved feet. 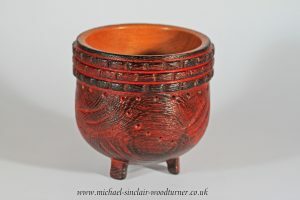 Lots of carved decoration, ebonised and enhanced with red stain. Turned from English oak with carved feet all from the same blank. 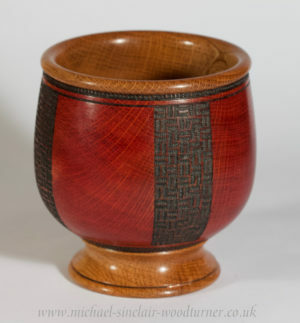 Enhanced with a band of pyrography. 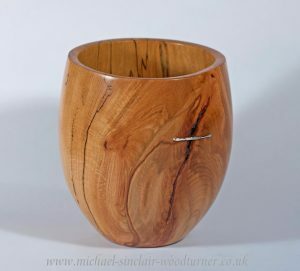 A bowl turned from a beautiful piece of spalted beech. 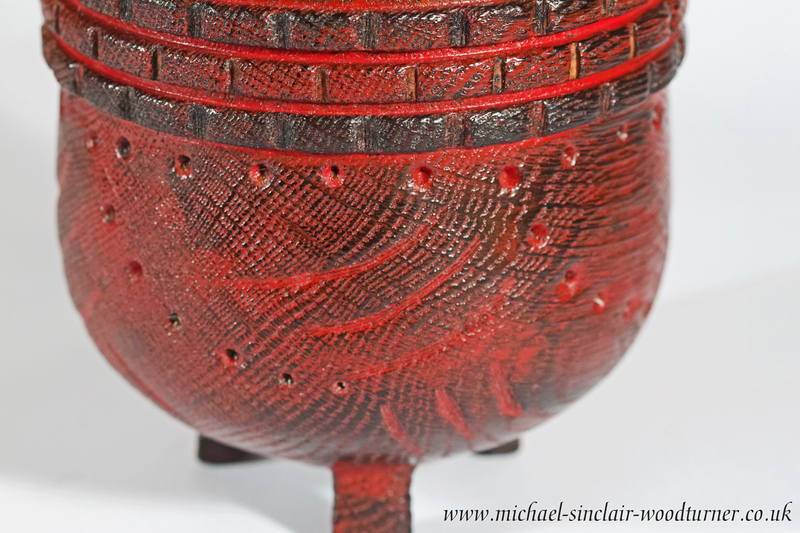 A natural inclusion has been enhanced with an Edinburgh hall marked and makers mark silver staple. 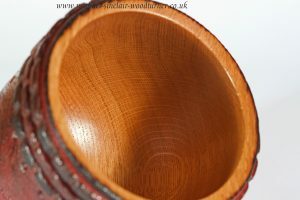 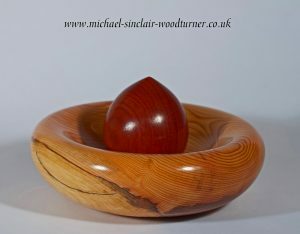 An oak bowl turned with a foot. 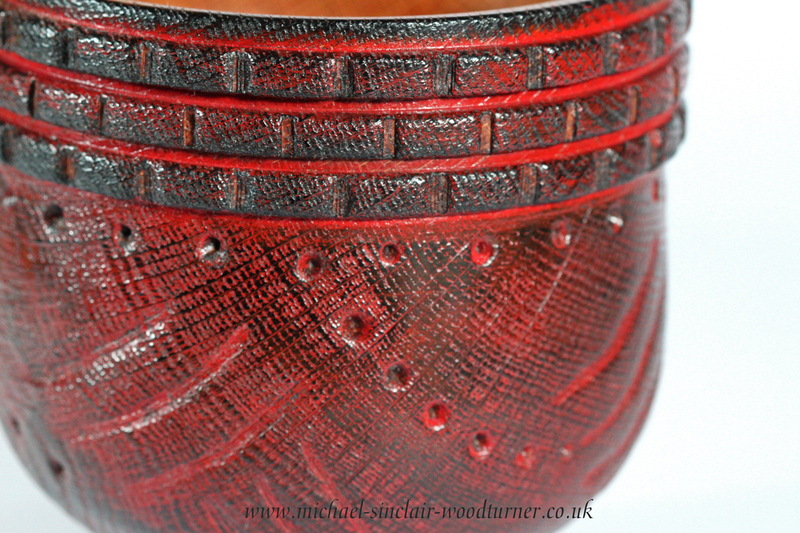 Pyrography detail has been added in bands with red stain panels between.